Although the 2018 NFL season may not have gone as planned for the Oakland Raiders, Derek Carr remains as optimistic as ever moving forward. Carr has expressed his confidence in the state of the franchise moving forward despite there being clear voids on their current roster. Among the most notable is that of the offensive line. It is no secret that Carr faced hounding pressure on a weekly basis in the 2018 campaign. However, he is not as sour about as one may assume him to be. “It’s helped me be better – understanding in the pocket that hey, it’s not going to be perfect at times this year and as I’m used to. It’s made me a better player, to be honest,” Carr said during his press conference leading up to the Broncos game. 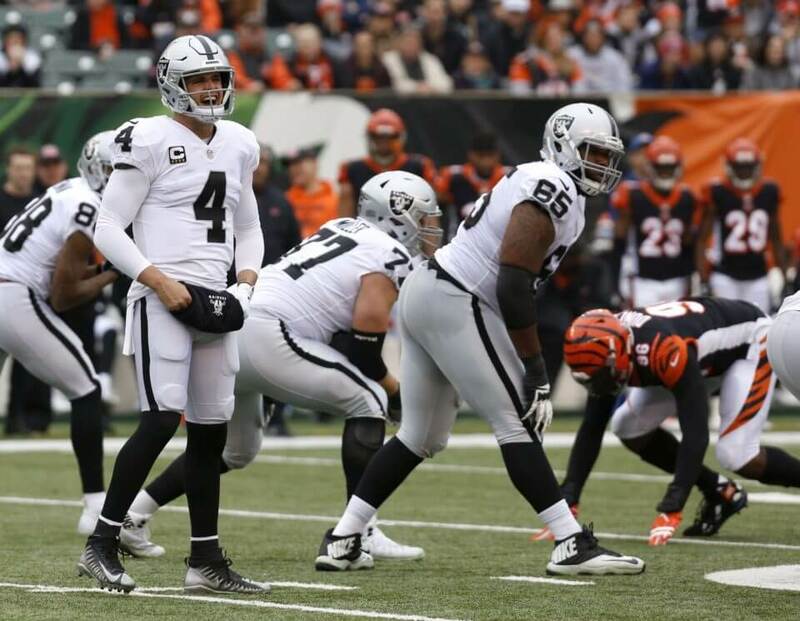 Carr’s comments may seem like a shot at the offensive line, but they were true nonetheless. Their lackluster performance ultimately forced Carr to become accustomed to making plays in and out of the pocket. The Raiders struggles with protection should come as no surprise since they relied on two rookie offensive tackles to do the job once Donald Penn was done for the season due to injury. As a result, it had a profound effect on Carr’s performance and overall approach to the game. It is encouraging to see that Carr never wavered under the hounding pressure. In fact, he seemed to embrace the opportunity to lead this team through a disastrous year, but it is never a good sign for a team’s quarterback to be sacked over 50 times in a single season.